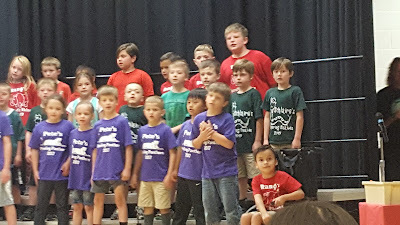 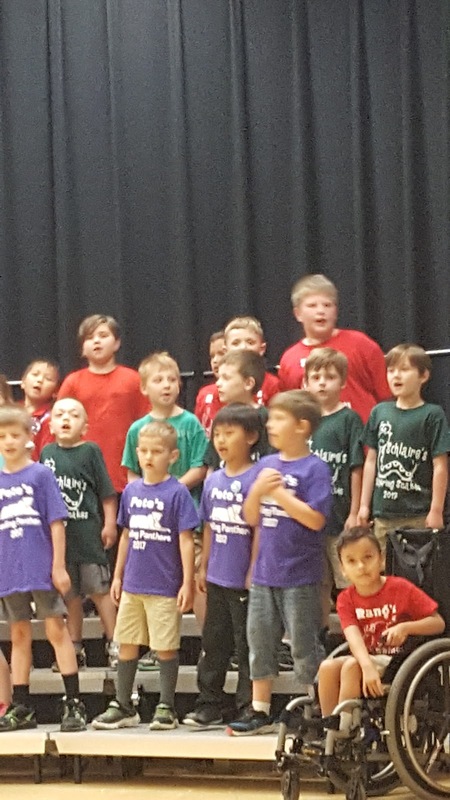 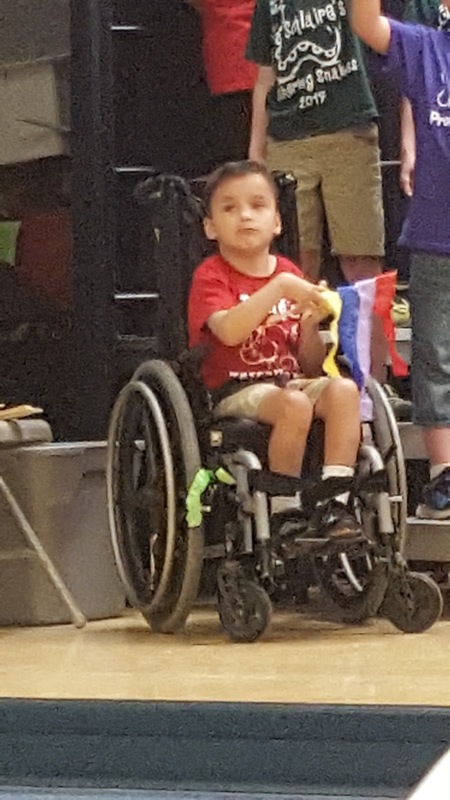 Yesterday was not only field day at school for the boys, but also the First Grade Sing Along. 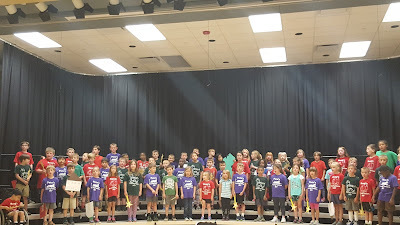 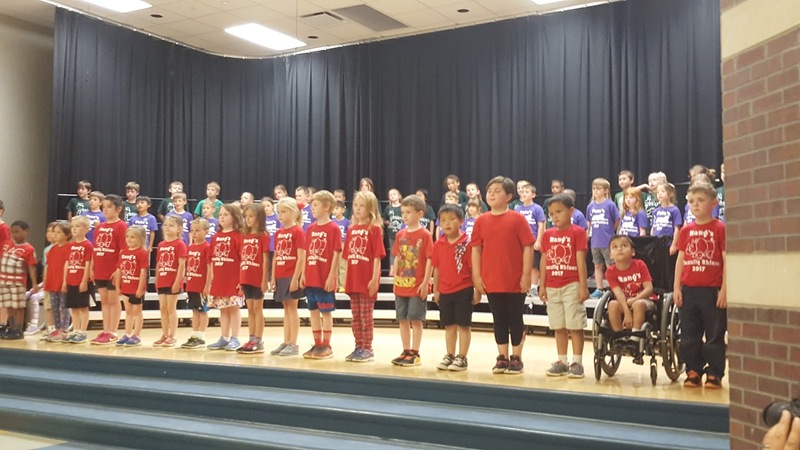 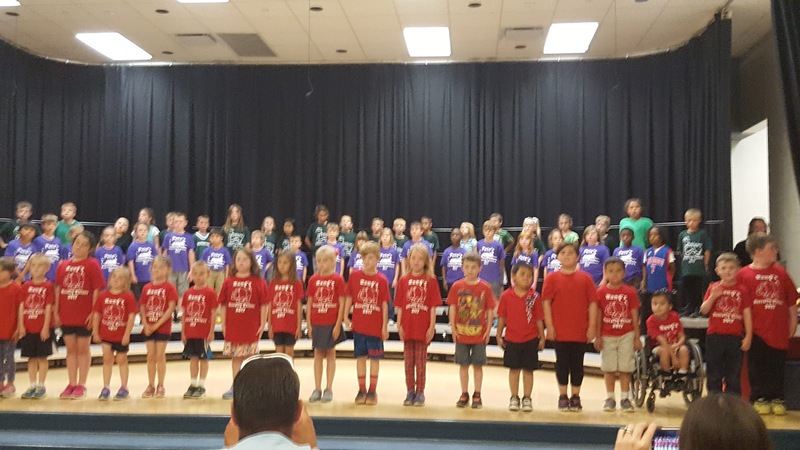 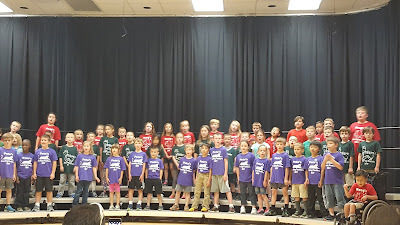 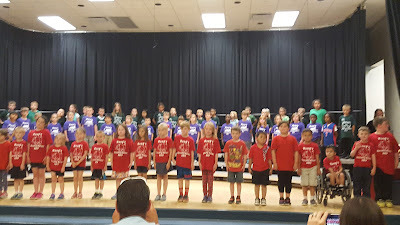 All three first grade classes came together and sang a total of 10 songs as a group. 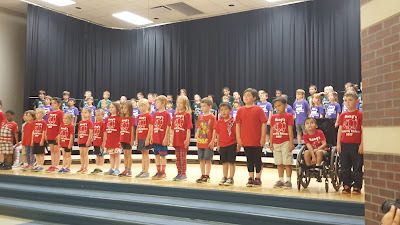 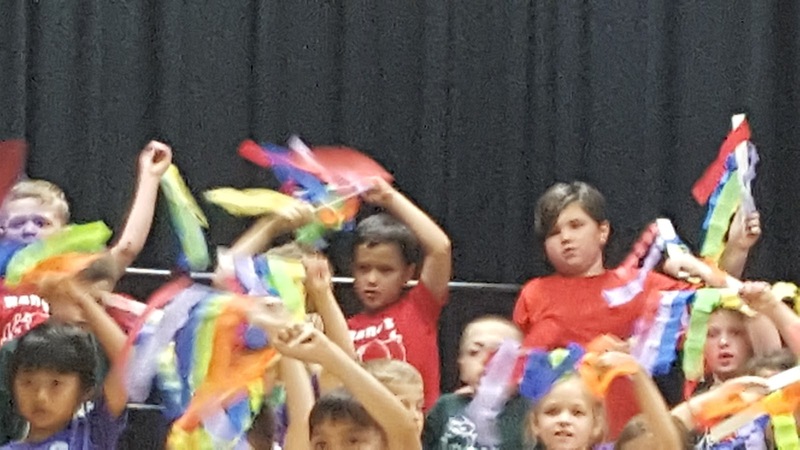 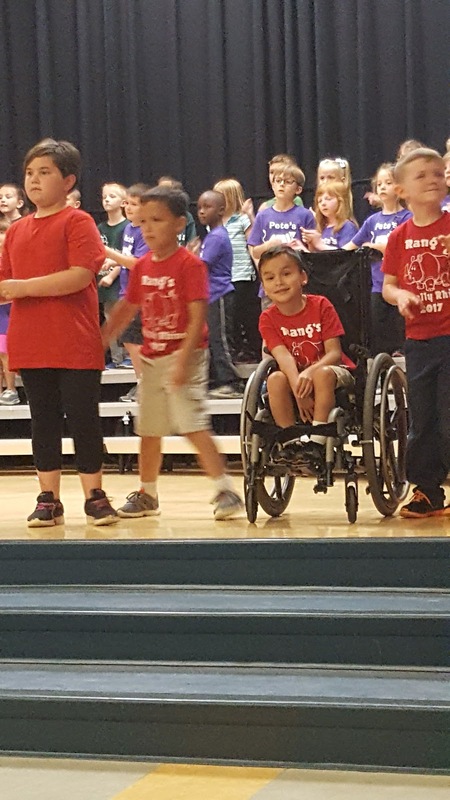 Each class took their turn in the front row for 2 songs each. 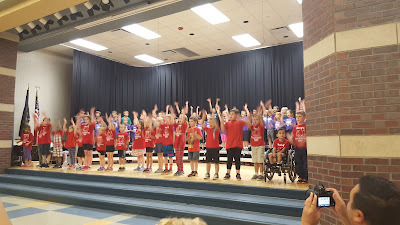 It was really special. 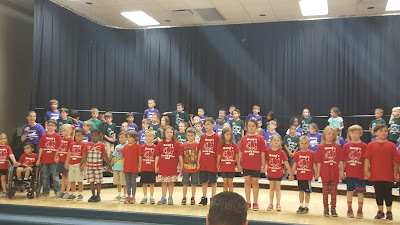 The last song was We all live together and the kids all held hands at the end. 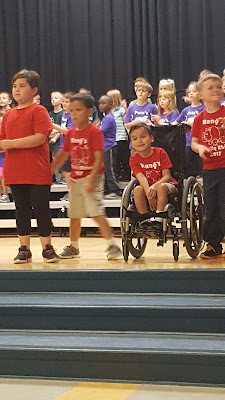 Alex was on the end and he saw the kids holding hands so he reached over to the boy next to him and the boy wasn't sure what to do. 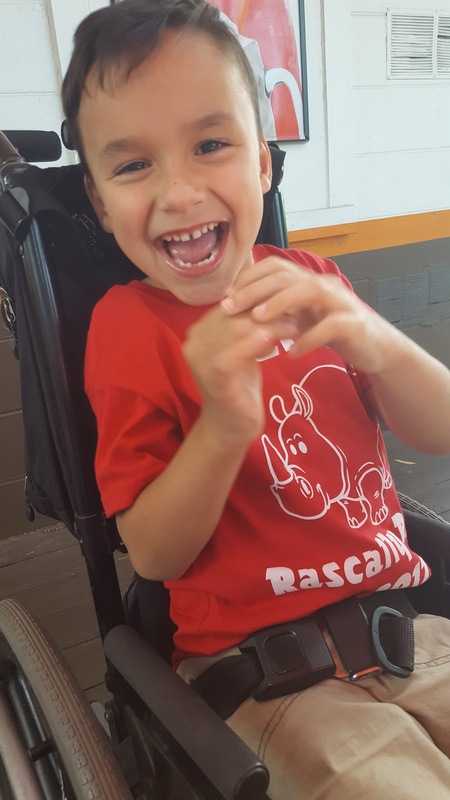 He looked to his Dad in the front row and his Dad nodded to him to take Alex's hand so he did. 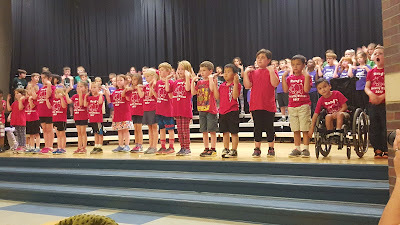 It was a really special moment! 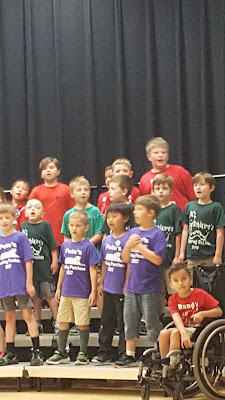 Even his teacher saw it and was excited because she said he had never done that before in rehearsals. 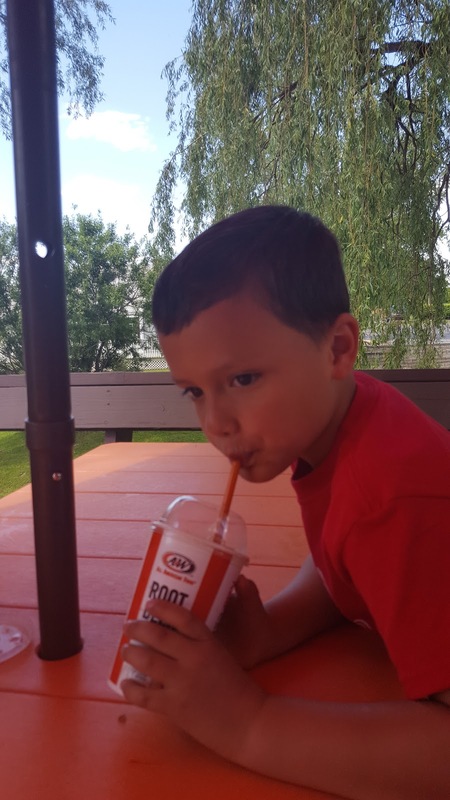 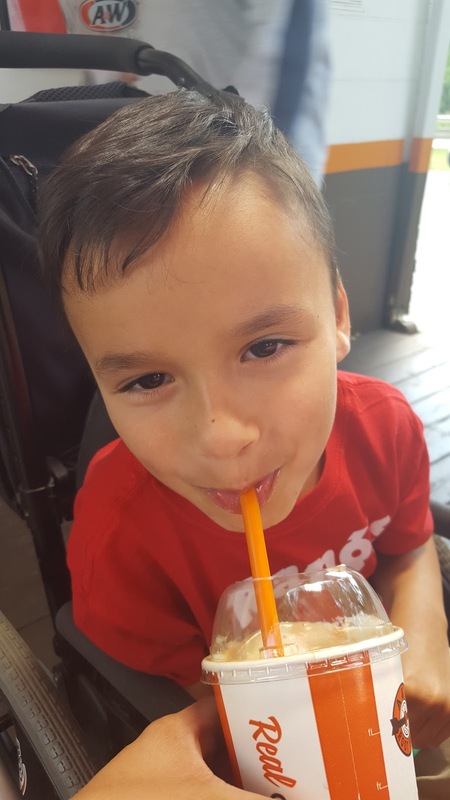 Afterward, Eric and I took the boys to A&W for Root beer floats - which they enjoyed very much. I cannot believe our boys are going to be second graders a week from today! 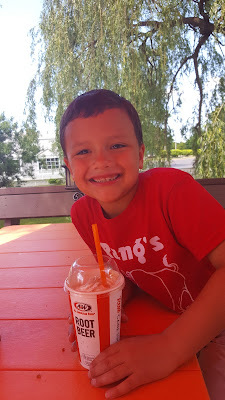 I wish time would slow down!